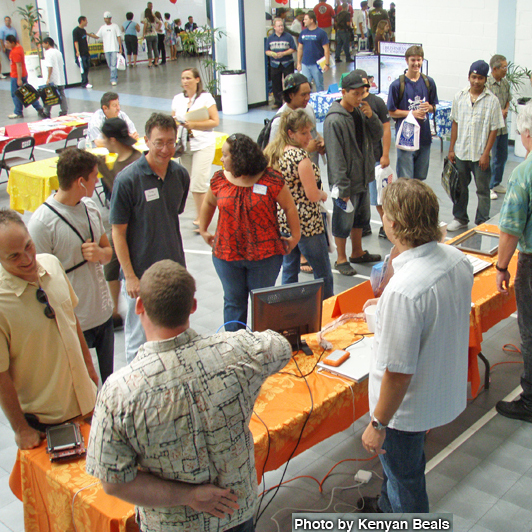 Future Careers in Hilo – Free Event – Food! Fun! We are excited to announce a new event Wednesday, December 12, 2018 4:30 to 7:00 pm. This is a family event for those of you looking for jobs in the scientific endeavors that happen on our island. Meet people from all types of work from Safety, Park Rangers, Engineers, Scientists — all types of jobs that offer exciting opportunities. This is a great opportunity for students to see and talk to people in a wide variety of work that is done everyday here in Hawaii. We’ll see you there! © PUEO 2016 a not for profit company.